Hanging gardens of Babylon. 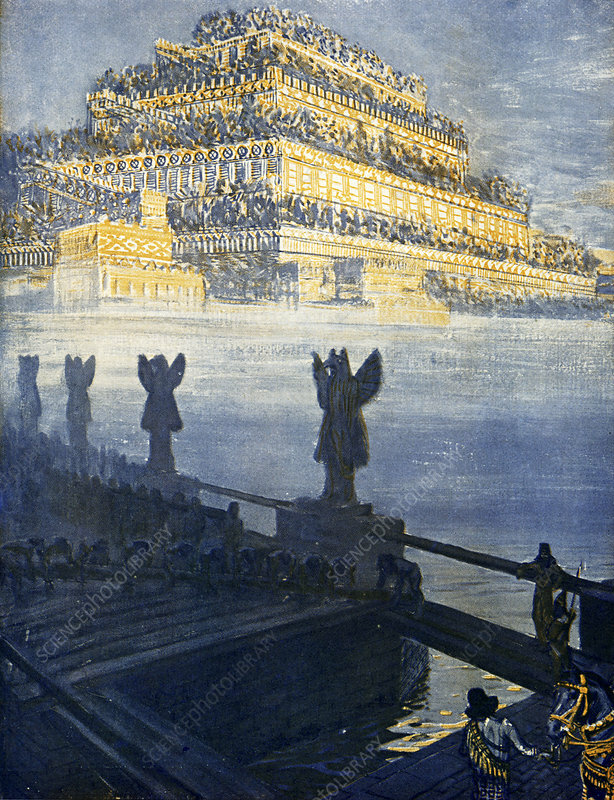 Historical illustration of the terraced gardens said to have been constructed in the city of Babylon in the 6th century BC for a queen of one of the kings. Numerous legends surround these gardens, one of the original Seven Wonders of the Ancient World. Some accounts describe the gardens as quadrangular in shape, with arched vaults rising in stepped tiers, with stairways and water screws carrying water to the upper levels from the river below. Image from Je Sais Tout magazine, France, December 1909.